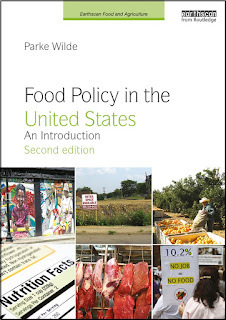 U.S. Food Policy: Next steps for preventing Salmonella in chicken ... and fresh produce? Next steps for preventing Salmonella in chicken ... and fresh produce? After this year's Salmonella Heidelberg outbreak, which has caused more than 300 illnesses and an unusually high rate of hospitalizations, was linked to Foster Farms, observers were surprised that USDA's Food Safety Inspection Service (FSIS) did not ask the chicken processor to recall product that may have been contaminated. Participants in a recent meeting with FSIS reported that agency officials seemed to take the position that they required proof of culpability before they could request a recall. That cautious stance makes sense when an agency is bringing a criminal case, but not when an agency is deciding merely whether to recall contaminated chicken. In a Salmonella case that may be related, Costco has recalled rotisserie chicken sold at a store in California. Why didn't FSIS ask for a recall of the Foster Farms chicken? There may be several reasons. The agency may simply be satisfied with Foster Farms proposed remedial actions and may feel incapable of doing much good by chasing after the chicken that has already left the farm gate, so to speak. The agency may feel that Salmonella on chicken is a tolerable hazard, because consumers should be able to kill it by cooking at home. The agency has a tolerance for the presence of Salmonella on whole chickens and tends to take action only if the rate of Salmonella contamination exceeds this percentage. There is no specific tolerance established for chicken parts, as in the Foster Farms case, but the agency may feel that Foster Farms' rate of contamination is in line with the rest of the industry. A coalition of consumer groups has asked for stronger action (.pdf), including a list of 7 specific steps the federal government could take. For example, the government could declare antibiotic resistant Salmonella and Salmonella that has been linked to an outbreak in poultry as "adulterants," a legal term which triggers specific legal power to prohibit sale. Also on the list, the government could require companies to revise their food safety plans. The politics of such food safety regulations is complex, however. Separate from this Salmonella outbreak in processed chicken, I have been following the very tough stance that some sustainable agriculture advocates have been taking against allowing new food safety rules under the Food Safety Modernization Act (FSMA) to be applied to foods produced locally and on small farms. Salmonella contamination is much more common on chicken from processing factories than on small farm produce; still, when contamination occurs on fruits or vegetables, there is not even a "kill step" through consumer cooking at home, so the safety issues are quite serious. Some small farm advocates say it would be too burdensome to have formal "HACCP" food safety plans and bacterial monitoring of on-farm water sources, in the same manner that poultry plants must do. When the industry under discussion is chicken processing, it is tempting to say we should bear any cost necessary to protect food safety. But I've noticed that when public-interest minded people think in a parallel fashion about both chicken and fresh produce, they tend to conclude that our society must find a sensible balance between food safety protection and the costs -- for farmers, manufacturers, and for the consumers who ultimately purchase the product. Do you have references for the claim that, "Salmonella contamination is much more common on chicken from processing factories than on small farm produce"? Thanks for sharing that paper comparing farmers' market chicken to conventional and organic chicken. My comment that you quoted compared Salmonella on chicken to Salmonella on produce. Here is the evidence (.pdf). Both the study you quoted and the one I quoted drive home the point that it's worthwhile to adopt a steady-handed balanced approach to food safety in multiple settings ranging from factory poultry production to farmers' markets. Although some agricultural economists assume big firms will be safe almost by definition (because they have a brand reputation to protect), and some sustainable agriculture advocates assume farmers' markets will be safe (perhaps because the farmer gets to know the customer in person and feels responsible), I am not persuaded by either account. It seems to me food safety hazards can happen anywhere, from farmers on any scale. Should food policy be part of the Farm Bill?